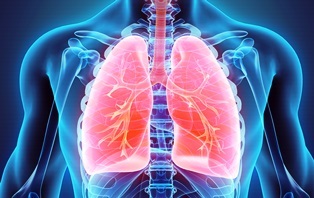 The lungs are some of the most important bodily organs, since they transport oxygen from the air to the blood, and provide vital nutrients for the body’s tissues. There are numerous ways lungs can be harmed during a vehicle accident, whether it's a head-on, side-impact, or rear-end collision. Punctured lung. In a vehicle accident, any sharp object propelled by collision forces can penetrate the lungs, creating painful pressure on the victim’s body. This often happens when a window or windshield shatters, creating shards of glass that puncture the chest. The force of impact can also cause broken bones to splinter, piercing the lungs. Typical symptoms of a punctured lung include pain, pressure, and shortness of breath. If a lung injury is relatively minor, a doctor may allow it to heal on its own. More severe punctures can require surgery. Collapsed lung. In the most severe cases, a punctured lung can lead to a collapsed lung. Symptoms of a collapsed lung include severe chest pain when inhaling, difficulty breathing, and a persistent cough. These symptoms can cause breathing difficulties or even suffocation if the collapsed lung is left untreated. Treatment involves stabilization of pressure, most commonly through chest tube aspiration. Chemical burns and smoke damage. Modern vehicles contain a number of chemicals, many of which are highly flammable. If a car’s engine catches fire, the resulting chemical fumes can burn the lungs. Severe smoke inhalation can also lead to long-term lung damage. Victims may become oxygen-dependent, resulting in a drastic decline in mobility. If you’ve suffered lung injuries due to a vehicle collision, you deserve compensation for your medical bills, loss of income, and pain and suffering. You need an experienced vehicle accident attorney to help you receive the compensation you deserve. To learn more about what the law offices of Steve M. Lee, P.C., can do for you, visit us on Facebook.